Less than 3% per month standing self discharge. 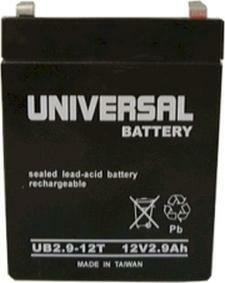 The UPG (Universal Power Group) AGM Battery is a state of the art design battery made in Asia. 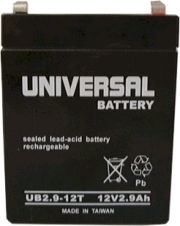 This battery is a sealed (Non-Spillable) requires no addition of water during the life of the battery. The AGM Battery is TRUE DEEP CYCLE can be mounted in any position, requires no maintenance and may be transported by Air or Ground without any special handling regulations. When an AGM battery is charged no hazardous fumes escape the battery case, gases are processed within the battery itself.